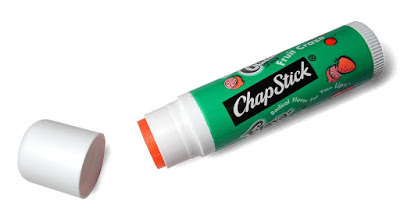 What To Do About Chapped Lips - Adelberg Montalvan Pediatric Dental PC & Orthodontics too! With the fall season in full swing, and the temperatures starting to drop here on the island, many of us will be suffering from a common cold weather frustration — chapped lips. We know how frustrating (and painful) chapped lips can be, especially when they crack. Fortunately, there are a few things you can do to help your little ones (and you) prevent chapped lips. Drink Plenty of Water – The weather may be cooler, but that doesn’t mean that you shouldn’t be drinking plenty of water every day! When you’re dehydrated, your lips can dry out. Apply Early & Often – Make sure that you and your little ones have Chapstick or another moisturizer on them during the day to make keeping lips moisturized easier. Cover Your Mouth Outdoors- Cover your lips with a scarf when you go outside on particularly cold days. Use a Humidifier – Another great way to make sure that your lips stay moisturized as the humidity levels drop is to put a humidifier in your child’s room. This is a great way to provide the moisture they need, especially during the winter. Note: Just make sure to keep the humidifier clean and free of mold/mildew. Avoid Licking Your Lips – Remind your little ones that while licking their lips might seem like a good idea at the time, licking your lips will actually dry out your lips over time. If you have any questions about how to care for your smile health, reach out to one of our three Long Island offices! We are here to help keep your children’s teeth beautiful and healthy year-round.